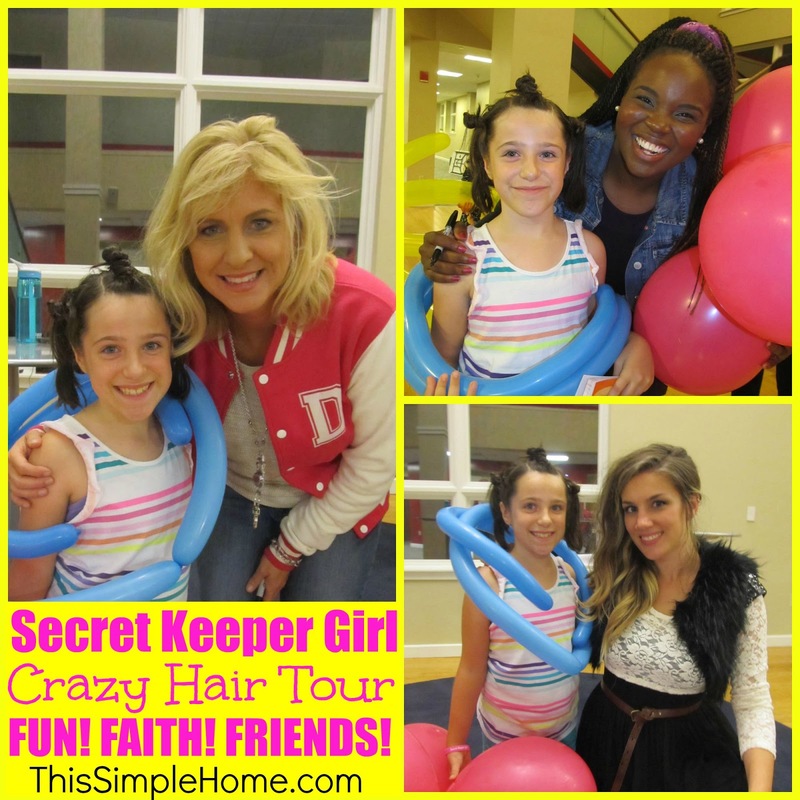 If you are looking for a way to treat your daughter to a night of fun in a Christian environment, I would definitely recommend Secret Keeper Girl. 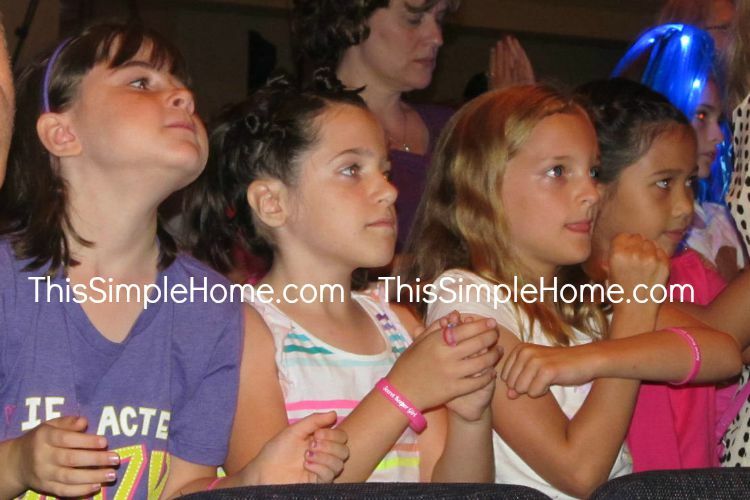 It really was lots of age-appropriate (ages 8-12) fun, faith, and friends. Combined with some games and music, the Crazy Hair tour also offered tips on choosing modest clothing. There was a good amount of teaching and stories. The audience was encouraged to do motions. A new one for us was to sit criss-cross applesauce in front of a mirror and see what everyone else could see. 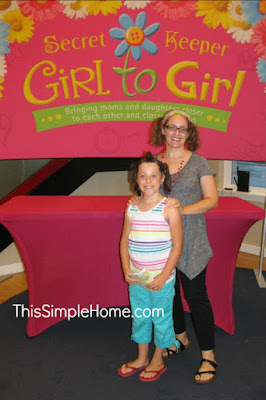 Though they did provide a book table, every girl goes home with a child-sized bracelet. We attended an event at the end of September and Big Sister still wears hers! I know some parents are concerned that a Secret Keeper Girl event that focuses on modesty and purity will talk about things beyond what a tween girl needs to know about like s*x. Nope. Not discussed! The closest thing to it was when Dannah shared about some of the young women Dannah's ministry (not just SKG) wants to work. During that time, she brought up teen pregnancies. My favorite part of the evening was the times (before intermission and then again before the show ended) when the girls were asked to return to their mom (or adult they came with) since they often sat with friends. It was a great cuddle time for Big Sister and me. After a bit of teaching and talking, we were asked to talk together about something specific. We even talked about the salvation we can have through Jesus! Big Sister and her friends truly had a fabulous time. Can you tell how engrossed they are? Clapping, singing, doing motions. It was wonderful! As you can see above, not everyone went to the show with crazy hair for the Crazy Hair Tour. Big Sister and I did. And just a warning: very few moms actually had crazy hair...I felt a little silly in my pig tails. After the show, we stayed to meet the SKG team. Big Sister has read many of Dannah's books and knew of how my connection to Dannah (prior to marriage), so she was thrilled to meet her, but she was just as excited to meet the rest of the team, too, and get everyone's autographs in her new book. P.S. I wasn't paid for this post. I paid for our tickets and received nothing but a fun and inspiring time with my girl. I just wanted to share it because it's a great ministry. My daughter and I enjoyed the SKG fiction for tweens. Well-written with a purpose! You can get all four books for $9.99 if your girl reads ebooks! Cool hearing about your experience. I'm glad you wrote this up. If I ever decide to do this with my girl. I might skip the crazy hair thing but I think Big Sister will remember this special time with you - including the crazy hair - for a long time. And that's the most important aspect!!! Good to hear what it's like. Last year or maybe the year before our AHG troop went to it, but Princess definitely wasn't old enough then.